Southern Cross is a club with a strong culture of inclusion and welcomes riders of all ages and abilities. Southern Cross is a great place to develop skills and to start racing your bike. 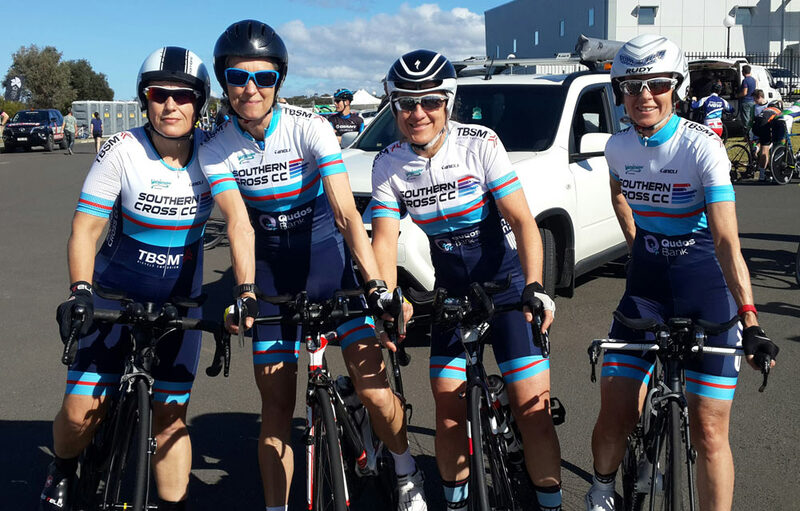 The Southern Cross Cycle Club was established to provide skills development and a safe racing environment for junior cyclists in the Sutherland Shire. As such the club places a strong emphasis on junior development and provides opportunities for all junior members to develop their cycling skills. Senior riders, male and female, also enjoy the relaxed and social nature of the club. Over the past few years the club has enjoyed a large growth in the number of females both joining the club and participating in club events. The Southern Cross Cycle Club races and trains at Waratah Park, an off road racing circuit closed to traffic, that provides a safe racing environment for both junior and senior riders. The majority of club racing is graded by ability, giving newcomers the opportunity to race at their development and skill level. Graded racing provides a challenge for both the new and experienced riders. Southern Cross also has a strong tradition of racing on the Track at both senior and junior level. Note there is no racing on 17/3/2019 due to B2B. 5 May at Calga. Kindly hosted by ATTA NSW. 7 September at Don's Farm, Avonlea. Kindly hosted by ICC. The racing is well organised and non-aggressive. The distances are set to suit age and skill and are not difficult. Everyone is encouraged to finish. Cycling is a non discriminatory sport with boys, girls, men and women able to compete on the same day at the same venue. Because of the individual nature of the sport, you can train as much or as little as you like. But we find that most people who start racing love it so much that they want to ride as often as possible. The atmosphere at Southern Cross CC is warm and friendly. We have different sorts of races and activities to keep it fun and interesting. Cycling is a year round sport and we race almost every weekend during the year. Many of the Club's riders compete at other Clubs' events and some have competed in State, National and International events. Cycling is a sport that anyone of any age can participate in and it is something that children and parents can easily do together. If you have a bike, you are welcome to compete. Coaching is also available for all skill levels and age groups. 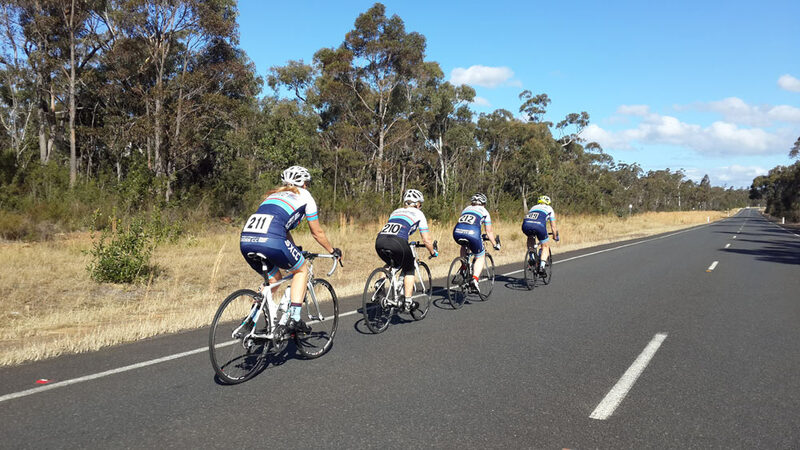 Costs 2019 – subject to price changes on Cycling NSW website. Sunday Mornings at Waratah Park, Rawson Rd, Sutherland. Note there is no racing on 17/3/2019 due to B2B. $5 to race. $10 for a family group. 8:00 am: C and D Grade. Mainly racing on Track 2. Race approx 25 minutes. 8:30 am: A and B Grade. Track 2 in Crit Season. More track 3 in road season. 9:15 am: Juniors. Graded racing. Juniors who are u/15 and above can race seniors and juniors. Prize money paid on random 'money week' Sundays. All riders welcome. You just need a bike, helmet that meets Australian Standards (AS 2063), and a race license. If you don't have a race license you can get a Cycling NSW racing day membership here. The Race Committee has decided to implement the following policy with the intention to lead to fairer and more competitive racing and the appropriate balance across the grades. Gradings are intended to promote competitive racing amongst riders of similar ability, but also take into account variables such as development, varying training levels and personal circumstances. Riders eligible for a lower grade are those dropped from the bunch on 4 or more occasions, are finishing consistently at the tail end of the field or riders returning from major injury. These riders may request to move down a grade. Riders who ‘ride down’ from their allocated grade will not be entitled to prize money and should not actively influence the racing ie attempting break-aways, setting the bunch pace. Non SXCC riders will be allocated a grade by the handicapper/commissaire taking into account their own club grade and the strength of that club. In general riders participating in their first event should be graded in ‘B-Grade’ unless there is reasonable justification otherwise. A new riders grading will be reassessed after their initial ride. pass on the right hand side, maintaining a gap of at least one metre between the two grades. wait until there is a distance of at least 10 metres between the two grades before cutting back in. do not pass and then slow down. This only impedes the other grade which could be chasing a breakaway. do not try to force your way through at turns – there is no right of way hierarchy of one grade over another. in effect, avoid doing anything which may affect the normal progress of the other grade's race. do not take shelter or any other advantage from the overtaking grade. Allow the passing grade to get well clear, staying at least 25 metres behind. In most cases it’s best to go neutral until the passing grade is out of sight. Failure to comply may lead to disqualification. do not try to re-overtake the passing grade if it is a higher grade, except if you are in a final sprint. Ride as straight a line as possible (hold your line) in the bunch and do not make any sudden sideways movements. Do not undercut other riders and force them to change their line. Leave space between yourself and the rider in front to avoid "cross-wheeling" (overlapping wheels) which is a common cause of accidents in racing. If riders "change their line" avoid overlapping wheels. Be alert and ride aware – your actions turning, braking and accelerating can affect other riders. Be aware of the "kick back" when riders get out of the saddle, give yourself space. When cornering keep the same arc on entry and exit. This is called "Holding your line" and means if you go in tight- stay tight. If you go in wide – stay wide. When cornering keep your inside pedal up as you lean in to avoid it clipping the road and throwing you off line. Raise your arm and be vocal if you have a puncture or other problem. When taking a drink, hold out your bottle and keep to the side of the group. Front riders: warn group about traffic and hazards ahead. Rear riders: warn group if traffic or another grade approaches from the rear. A firm grip and relaxed arms will help you stay upright if you get nudged by another rider. Show courtesy to other competitors and race officials. Anti-social behaviour and language will not be tolerated and offenders will incur a penalty and may be suspended. Once you decide you want to be in it, go all the way – do not slow abruptly. Ride a straight line, however tempting it may be to cut in or out. Keep both hands on the bars at all times, before and after the finish line. Back off early if it is a big field and you know you are not competitive. After the race, if other races are still in progress keep close to the right hand side of the track and get off the track as soon as possible. Coffee at Gloria Jeans Sutherland after ride. 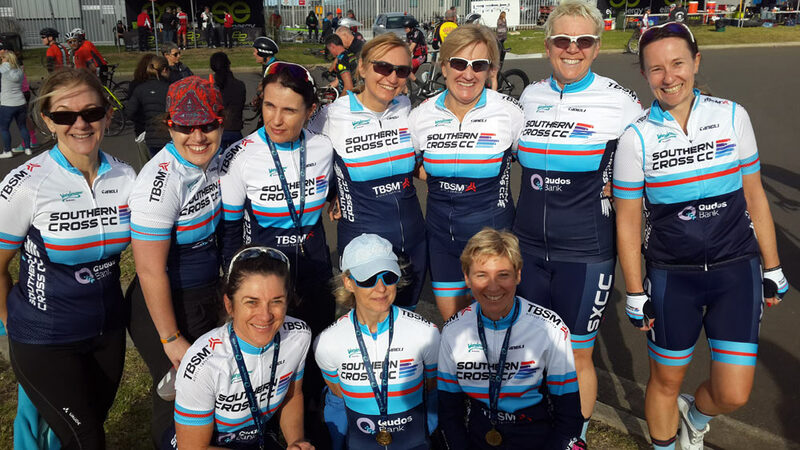 At Southern Cross Cycle Club we welcome all women. 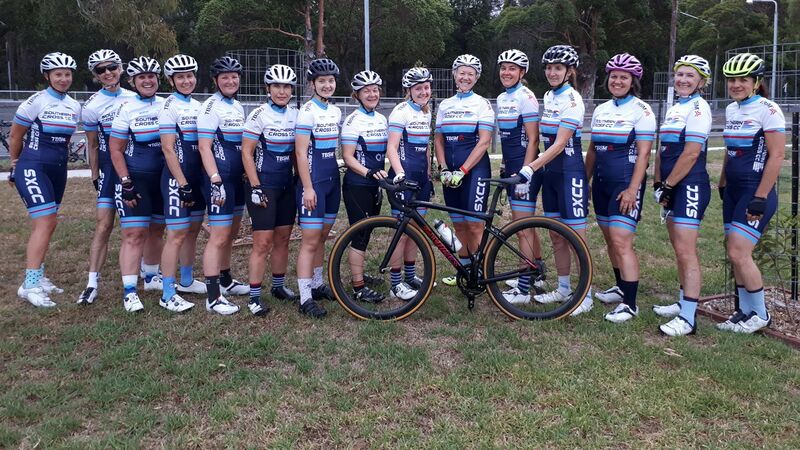 Our “Women’s Come and Try” events at Waratah Park cater for those new to racing. Experienced female riders and female coaches are available to help you. 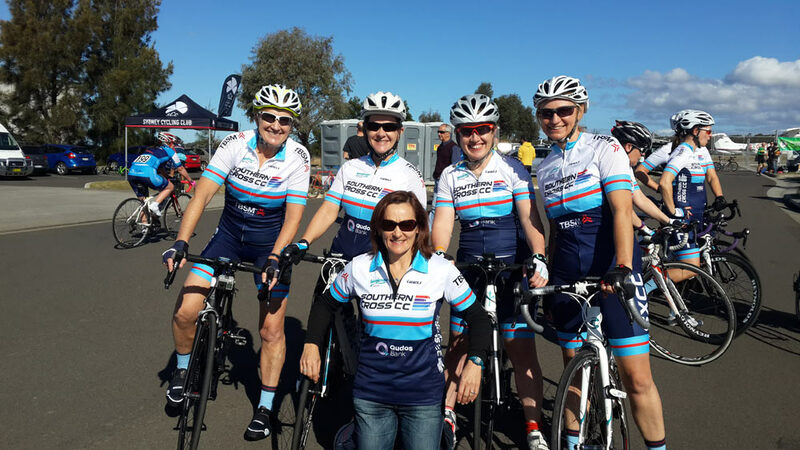 Our club has been involved with the Cycling NSW Women’s Come and Try Series and the Women’s Road Series since its inception. Sunday Club racing is held on a safe off road circuit at Waratah Park. Most women new to racing commence in D grade with opportunity to progress into other grades as confidence, skills and race experience develop. We also have a regular Thursday morning training session at Waratah Park and social road rides. We have State, National and more recently international level women. Southern Cross members can apply for reimbursement of costs incurred for travel and other expenses in the course of participating in events that represent the club in State and National level. Southern Cross is a club with a strong culture of inclusion and welcomes riders of all ages and ability. 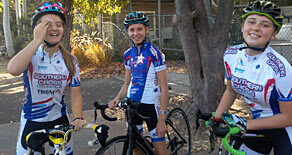 Southern Cross is a great place to develop skills and to start racing your bike.